Dr. Syed Ahsan Jamil is presently the dean of the college of commerce and business administration in Dhofar University, Sultanate of Oman. Dr. Jamil has over 20 years of experience as an academician and consultant and had worked with various academic institutions of repute in India and abroad. He has a MBA and PhD in the area of financial strategy from University of Lucknow, India and had served on the board of select Indian and European companies. His area of research is Financial strategy, behavioral finance, and risk management. 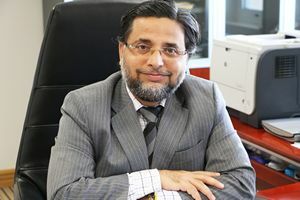 Apart from guiding nine doctoral theses, he has to his credit more than 40 research papers published in national and international journals, two books, and several conference papers and is on the editorial board of international journals.